.casa is a GTLD that was proposed in ICANN's New gTLD Program. The successful applicant is MMX, also known as Minds + Machines. 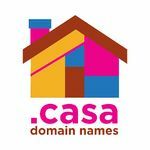 Spanish word for house, .casa is a new generic top level domain targeted to real estate firms, contractors, decorators, home and family-related companies or interested individuals. The target audience for this TLD is the Spanish-speaking market. .casa was delegated to the Root Zone of the DNS on the 23rd September 2014, completing the successful application for the string. MMX, also known as Minds + Machines. It is one of 68 applications that the company has filed on its own behalf. This applicant submitted a Public Interest Commitment, which can be downloaded here. Donuts (Extra Way, LLC), a start-up registry operator, which invested $56 million just for application fees for 307 new gTLDs. This applicant submitted a Public Interest Commitment, which can be downloaded here. GoDaddy had originally applied for .casa, but in March 2013, the company announced that it was withdrawing its applications for .casa and .home, and only sticking with its Brand TLD application for .godaddy. It was noted that it was withdrawing its applications to focus on its core registrar business, thereby removing competition with competitive applicants it could work with as future registries and eliminating concerns that it will promote its own TLDs ahead of others'. The announcements were made at an event, Registry Days, meant to open a dialogue between the world's largest registrar and new gTLd applicants. The applications were withdrawn in time to receive a 70% refund for each of the $185,000 application fees. In an August 2013 auction, MMX prevailed as the winner. The total amount was not disclosed though the 8 total auctions that were cumulatively valued at $9.65 million. In October 2013 ICANN released their final assessment and mitigation plan for the Name Collision issue that was facing the New gTLD program. On 18 November 2013, ICANN announced the applied-for strings that were eligible for an alternative path towards delegation that would allow applicants to proceed without waiting for further mitigation research and plans to be published. 25 strings, including .casa, were not eligible for the alternative path, and will have to wait for more plans to be published before continuing towards delegation. On November 21, 2013 MMX received a Registry Agreement signed by ICANN for .casa after passing the Initial Evaluation. This page was last edited on 28 November 2017, at 18:23.